I wanted you to see the impact delays like the one in my daughter’s Education case have. Eldest was adopted by me at 4 yrs old and went through more in those 4 years than you would wish on your worst enemy. We are on our 4th Local Authority (LA) caseworker, we have only met one. Tara was briefly no. 3 and has kindly picked this up as our current worker is off. As everything is now so last minute I have no idea what I have to prepare for tribunal next Friday. Due to my ill health everything takes me much longer than it used to. I have no solicitor and of course Parent Partnership advisers don’t work at weekends. I will have to spend many many hours this weekend preparing and organising my thoughts on every single thing I have requested for the Education Health Care Plan (EHCP) and making detailed notes due to my short term memory difficulties (I’m on morphine up to 4 times a day plus other v strong medications). I may well find out at some point next week that some of what I have done is unnecessary as it’s already been agreed by the Educational Psychologist. It’s Eldest’s birthday this weekend, both my children have complex needs and take a lot of looking after. I am sure this all sounds very minor to you but to me, a mother who is trying her hardest to support her children under difficult circumstances, it is not. Our paediatrician wrote to the LA in January 2018 to warn we were on the point of family breakdown if support was not forthcoming. Not because I am failing, but because parenting children like mine especially as a single adopter is overwhelmingly challenging. I guess I am not expecting a response. I certainly don’t need your sympathy. But it would be wonderful if something could change for families like us in future. 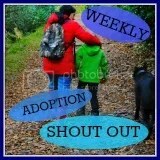 This entry was posted in adoption and school, education, Social Work, Uncategorized and tagged adoption, attachment aware, disability, special educational needs on September 21, 2018 by 3girlstogether. Feel better. Stay safe. I am sure you are aware that some nasty weather is on the way. I am sorry you are going through so much.